Veolia, day-to-day operator of Rialto Water Services, will award two S.T.E.M. 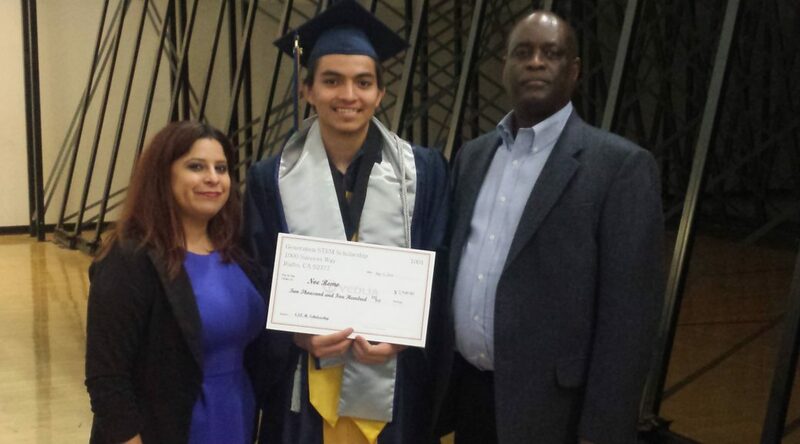 scholarships to provide financial assistance to outstanding graduating seniors in Rialto who are pursuing a degree. in science, technology.engineering or mathematics. Scholarship recipients will receive a one-time scholarship award of $2,500 to an accredited public or private institution of higher learning. The scholarship awards are outright grant awards. No services will be required as a consequence of receiving the award. Scholarship funds are for tuition, books, education fees, and/or living expenses. Outstanding graduating seniors attending high school in Rialto, California are eligible to apply. The scholarship is open to students from all backgrounds regardless of age, race, religion, gender, sexual orientation or national origin. No award may be recommended for any person who has a financial interest in Veolia North America or is related to a current Veolia employee in California. Applicants must submit a completed application, high school transcripts, SAT/ACT scores, and two short essays submitted by the date specified on the application. Top candidates may be invited for a personal interview before the committee to learn more about the candidate and their qualifications. The award committee will choose two applicants and award the scholarships. Scholarships will be announced on May 6, 2016. Winners will be notified by mail. Scan your application, your essays and your transcript into a single PDF and email it to: rialto.scholarship@veolia.com. You will receive an automatic reply letting you know that your application has been received.